Dale Leath is an Executive Coach for Leath Group, LLC—a dynamic curriculum development and intellectual property greenhouse that grows leaders and shapes cultures. After nearly two decades of pleading by his persistent son, Dale finally agreed to share his 40 years of business experience and wisdom with Leath Group clients. A faithful confidante renowned for his perspective, principled decision making and high integrity, Dale proves regularly to be an invaluable asset in the development of employees, leaders, and organizations. The first ten years of Dale’s professional career were invested in a concrete form company, L.A. Pinner Corporation, with responsibilities including drafting, takeoffs, pricing, bidding, purchasing of raw materials, and coordinating manufacturing with shipping and sales. He then joined Luther Hill & Associates’ parking structure division, where he oversaw national advertising to promote the concept of design/build and presented to prospective parking structure and commercial building owners, developers, city councils, and universities. For the next 26 years, Dale worked with Dayton Superior Corporation (headquartered in Miamisburg, Ohio), a nationwide leader in the manufacture and sale of concrete accessories, chemicals, and forming materials for highways, bridges, dams, multi-storied office buildings, and large tilt-up warehouses. He served as Regional Manager for eight states, opening new dealerships, coordinating sales, and collaborating with dealers and end-users. During this time he also opened and managed a DSC office in Dallas, with a customer service department, light manufacturing, warehouse, and distribution to dealers and their customers. Given his druthers, Dale would likely describe himself as a “modest everyman,” yet we know he is an astute thinker, conversant in seemingly every topic under the sun. Having never met a stranger and rarely encountering unknown subject matter, he has an uncanny ability to speak lucidly with everyone about anything and make it interesting. His capacity to listen, synthesize, and pithily summarize occurs naturally, instantaneously, and pleasantly, as if he were channeling Jonathan Swift, Samuel Clemens, or Will Rogers. Dale is also an encyclopedic storyteller, often using humor, anecdotes, and fascinating facts to engage individuals and clients in ways that make learning fun, the bitter palatable, and the complicated simple. 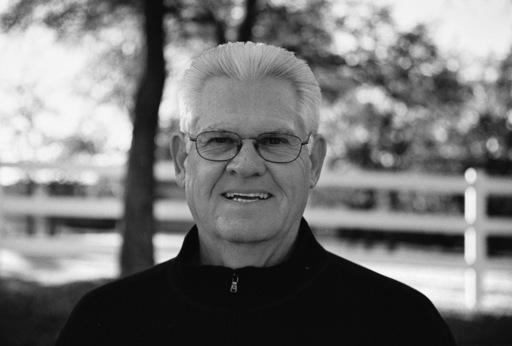 Dale has always enjoyed the outdoors and remains an avid golfer, frequently shooting his age. At the age of 55—with a 2 handicap—he began playing competitively and entered numerous tournaments throughout Texas, Oklahoma, Arkansas, and Louisiana. His discipline, precision, and quiet determination culminated in five club championships, and he qualified for and played twice in the Texas State Amateur as well as the US Senior Amateur, the latter being one of 11 major tournaments sponsored by the USGA. Dale spent six years in the United States Army Reserve, training at Fort Jackson in South Carolina and Fort Leonard Wood in Missouri. He was discharged on July 31, 1966, from Company D, the 980th Engineering Battalion in Dallas, Texas. He studied Architecture, Psychology and Religion at Kilgore College, the University of Houston and Baylor University and considers his greatest treasures to be his beloved wife of 50 years, their two children and three grandchildren.